Eyeliner to me is what lipstick is to most people. 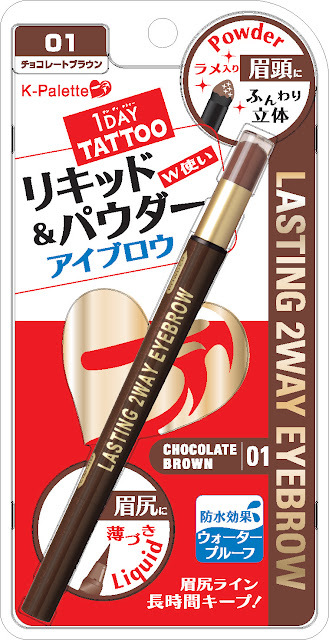 I can't live without it and it is my most favorite make-up item to play around with. It doesn't matter what time of day it is, I just like to pile on my eyelier thick for that 60's style dramatic/muse/artist/mod feel. 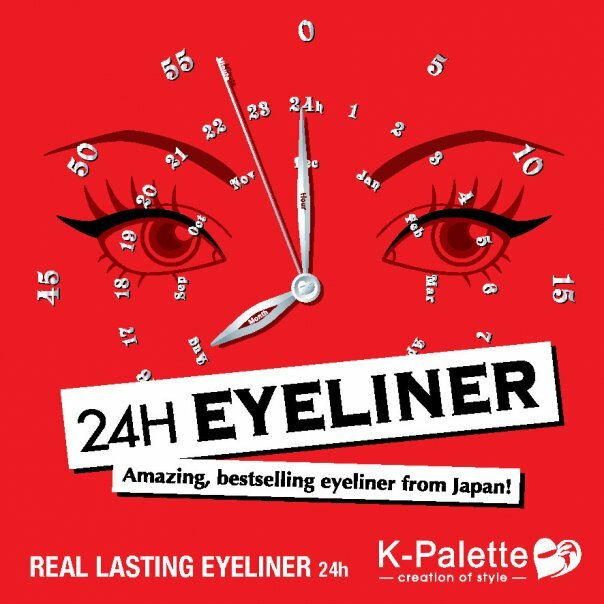 I spotted the poster for K-Pallete's 24 hour eyeliner in Beauty Bar Rockwell last year, the word "tattoo" and japanese" really piqued my interest but unfortunately, black was out of stock. I tried my luck again earlier this year in Beauty Bar Eastwood but black was out of stock again! Which got me thinking...this is probably one hell of a really great liner. So last month, I received an email from K-Palette for a makeover session with K-Palette and Ms. Noriko Imura. I was beyond ecstatic! Sadly, the event was scheduled for last weekend, remember when it was flooded everywhere? There was simply no way I could make it to Greenbelt unless of course I hired a jetski or monster truck. I was devastated. Thankfully enough, since a lot of us weren't able to make it, Ms. Cheryl Chua was nice enough to send us our press kits. Mine arrived yesterday and it made me feel like a kid on Christmas day :D Although I still feel disappointed about not being able to attend the workshop, I gotta say, this love package made me feel a whole lot better. I might just search YouTube for some "Noriko Tutorials". Japan has a magical way of tweaking things and turning it into something amazing. 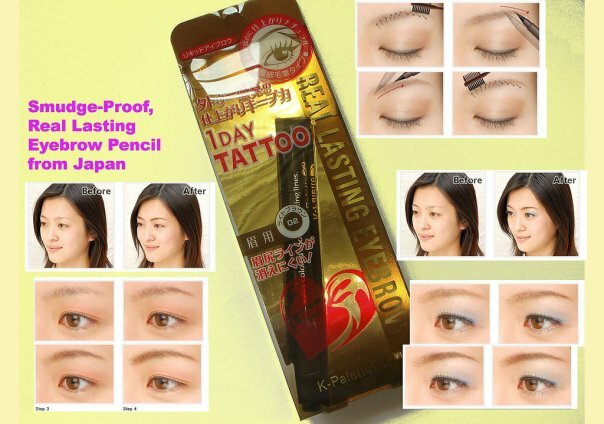 K-Palette products are no exemption. 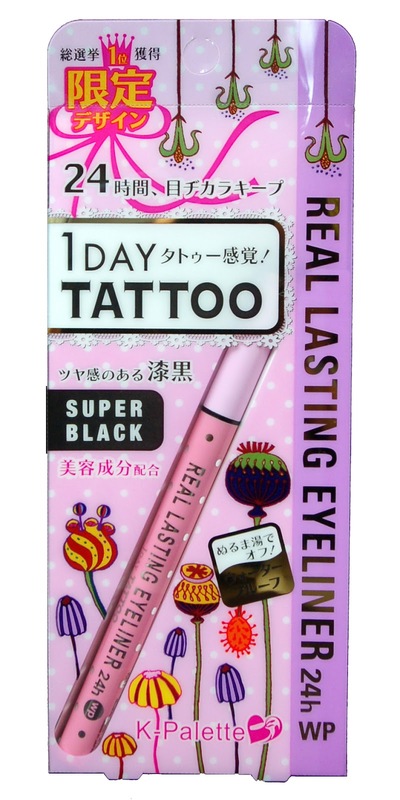 This is the best eyeliner I've ever tried and it was definitely worth the long wait. 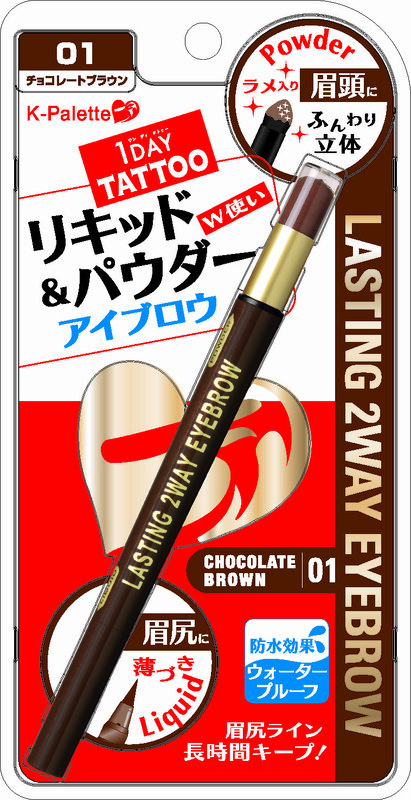 Will write a dedicated review for the Okuma concealer after I try it for some time. Haven't opened it yet. Might give it a dry run later. I've heard many good things about this product too and it's one of the latest to be released in our country by K-Palette. Like I mentioned earlier, I just received these products yesterday morning and I've only had the chance to use it for a day. I wore the eyeliner last night to the Forever21 VIP opening in MOA. The first word that entered my head when I started applying it was "WOW". The way the applicator tip is designed makes it really easy to manipulate. Even beginners won't have a problem creating a straight line with this eyeliner. 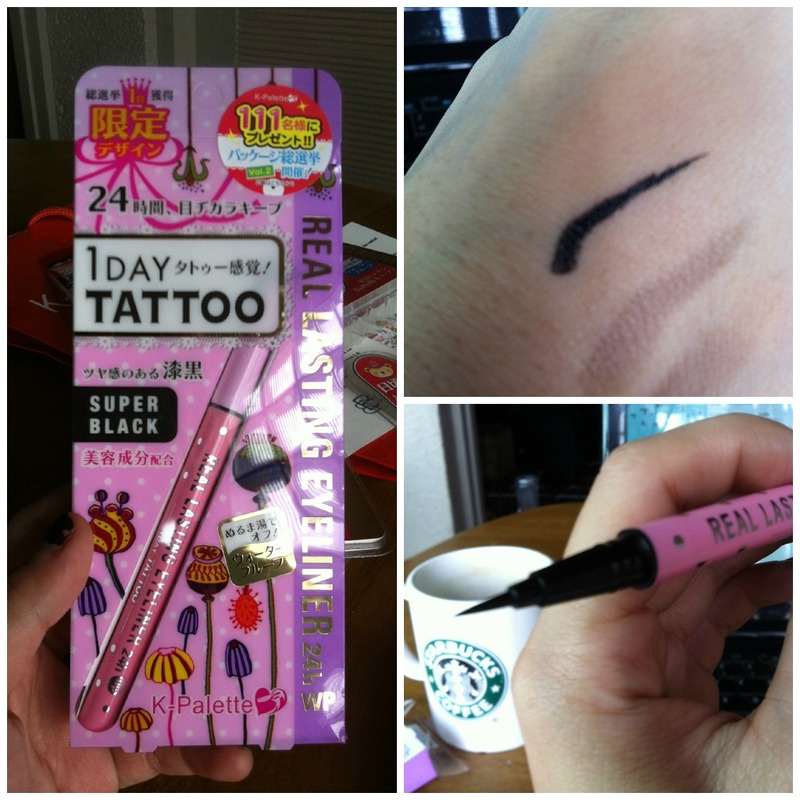 It is sooo pigmented that you only have to go over it a couple of times to achieve a strong black color. And it stayed on the whole night! It's a miracle! No smudging whatsoever. You can go swimming with this, I swear! It doesn't react to water, sweat or skin sebum and yet you don't need a make-up remover to take it off. Just soap and water and all traces are gone. I know... amazing! 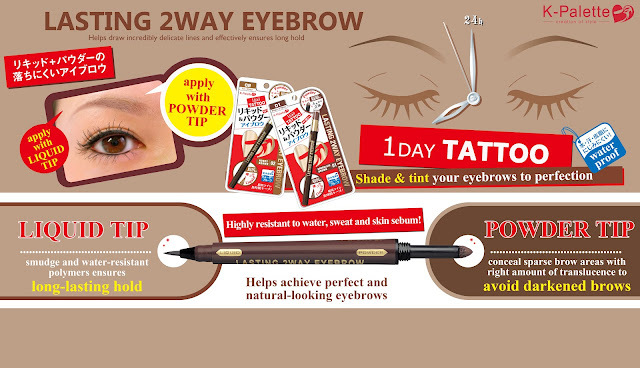 The eyebrow liner comes with two tips, a sort of brush tip and a powder tip. As you can see the color is way more subdued than the eyeliner below despite it both being liquid liners. This is great as it allows you to fill in your eyebrows easily in a natural looking way. First use the brush tip then fill in with powder tip. You can go over it as many times as you like without the need to be very precise. The product does all the work, not you. 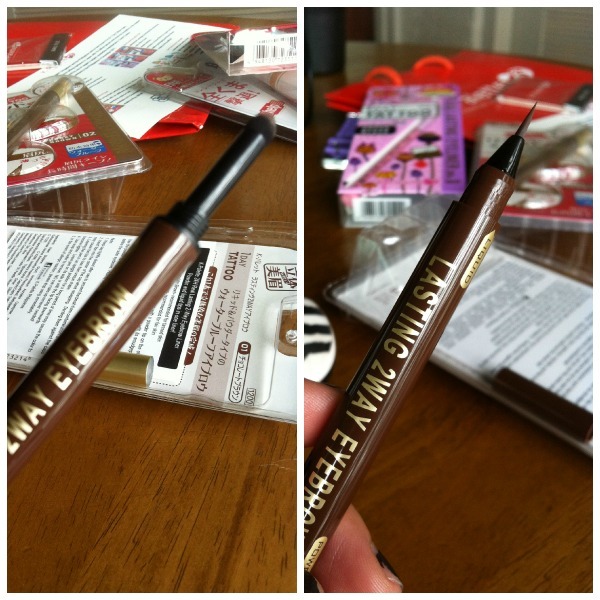 Below is a photo of the eyeliner swatch. Very nice. It stayed like that all day, didn't fade at all! I also love that it has a little metal ball inside that rattles just like spray paint cans. This ensures that the product is mixed thoroughly when you apply it. 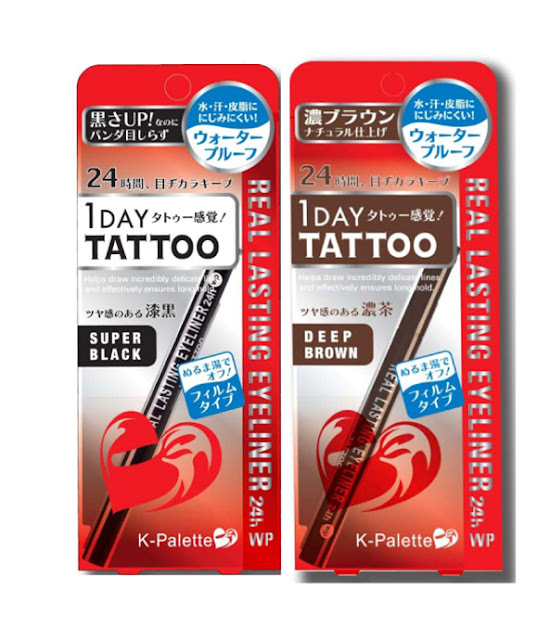 K-Palette products all roughly range around P800. The liners are supposed to last you about 3-4 months with daily use. They are worth your every penny. Head over to Beauty Bar and try them out yourself. YOU WON'T BE SORRY. All the hype is seriously backed up by one great product. I hope they come out with mascara soon! More reviews on these products in a few weeks. Stay tuned! wow that's eyebrow power! i think im gonna try this one day too! kasi my beauty blog turned into nail blog na.hahaha! but if this is a japanese brand then im sure this is good. 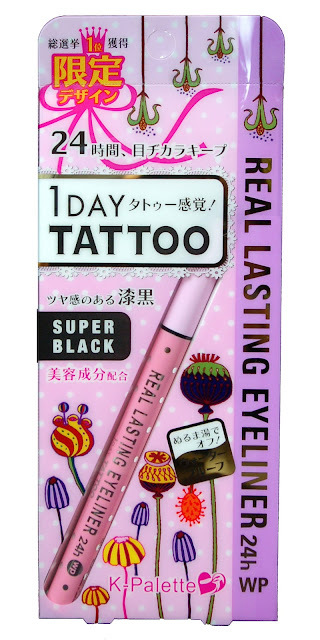 i have always preferred liners & mascaras from japanese brands, i trust that they won't budge & they are specially suited to asian women e.
so i would buy this without any doubts if ever i would need to use a liner. have you tried the ones from IMJU or dolly wink?